Backed by many years of experience of designing probe cards, our extreme temperature epoxy probe cards enable you to carry out electrical characterization of your wafers across a broad range of temperatures. We use high-end materials to provide long term reliability and characterization at temperatures as low as -271 °C (2 Kelvin) and as high as +300 °C. Our high temperature probe cards are ideally suited for use in test environments up to +300 °C. Working with a variety of different materials proven to work at high temperatures, means that we can accommodate a wide range of temperatures. The use of an additional heat shield and heat sink can further reduce the thermal effects on both the probe card and prober. Where tests require extremely high temperatures, our specialist probe card designers can avoid the use of a PCB entirely to increase accuracy and repeatability. As a result, our probe cards can be used in the harshest of conditions. To ensure high quality and reliability we offer full testing of probe cards for hot chuck applications up to +300 °C. A summary of the test results such as the one shown on the right can be made available to illustrate the thermal values recorded during the test. 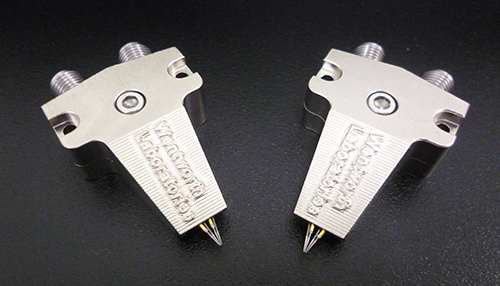 Our high temperature probe cards are suitable for hot chuck applications and can also be mounted on manipulators. 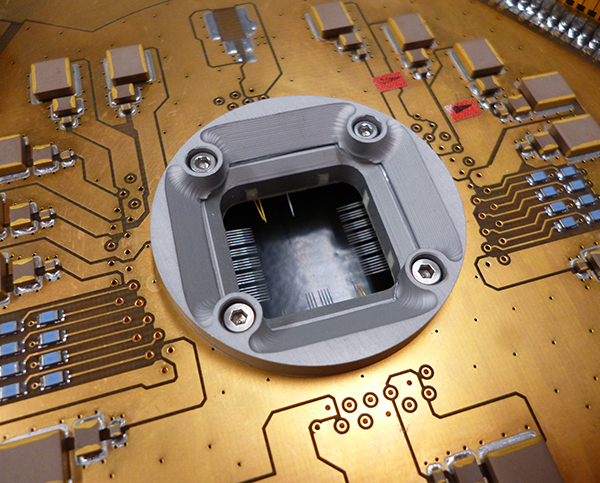 We build and design low temperature probe cards for wafer probing at temperatures as low as -271 °C (2 Kelvin). The use of a special cryogenic epoxy, which is typically used in space applications, prevents materials from becoming brittle at extremely low temperatures. Using Polyamide PCBs and a combination of carefully selected other materials adds stability and long-term reliability. 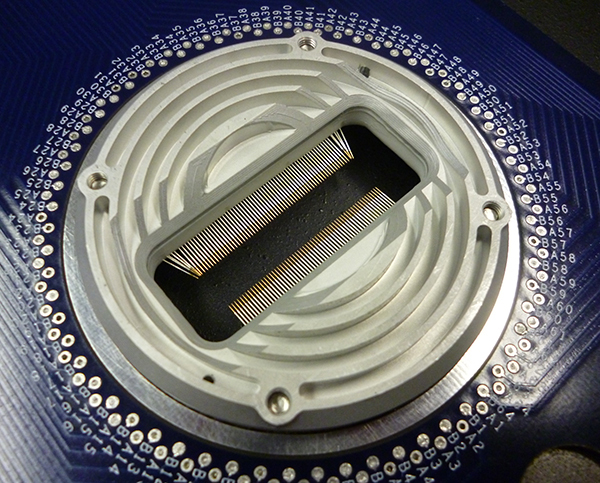 Our cryogenic probe cards are designed for use with specialist low temperature wafer probe stations, but are also suitable for use inside a cryostat. We also design custom probe cards which can withstand extreme temperatures as well as high voltage or high current.